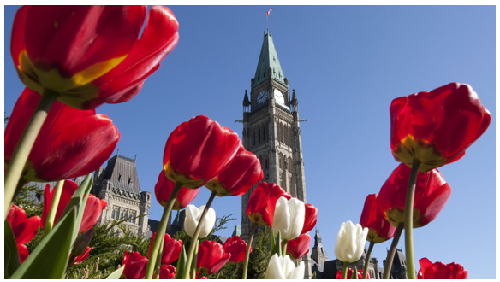 You might not know it as there is still lots of snow in Ottawa, but spring has officially arrived! In the resale real estate world, that means we are entering the busiest time of year, particularly for sales of family homes. While condominium units can sell at any time of year, the spring-summer season is traditionally the busiest for buyers who are transferred to the city and those with families hoping to settle in this summer. Those buyers usually want to buy and move before the new school year starts as well. As a Realtor with more than 30 years of experience in the Ottawa, Ontario market, I always urge clients who want to sell at this time of year to get started as soon as possible, so we have lots of time to help get your home looking its best. I’ve found that many first-time sellers are surprised by the preparation time we need before we start opening the doors for showings. On average, it takes about four weeks. So, I always tell clients to call me as soon as they know they are going to sell. When I arrive for our first meeting, I will bring sales information on your neighbourhood and will show what similar properties in your area have recently achieved, so we can establish an asking price. I will walk through your home while taking notes and measurements of room sizes, and give you experienced feedback on what enhancements could be done to your property. This will allow you to get the property looking its best and achieve the highest price possible in today’s competitive market. This starts with an extensive cleaning and de-cluttering to give the home an airy, clean and spacious feeling. For most people, this means packing and putting away a lot of items that can clutter a home. Depending on the age and condition of the property, it can also mean doing other touch-ups. These don’t have to be major or expensive, but the list can include things like painting your rooms in neutral colours, changing up any outdated light fixtures or faucets, or re-painting a worn patio deck. If you prefer to hire tradespeople to do these touch-ups, it’s generally easier to find those workers at this time of year than during the busy warmer months, when many of them are heavily booked. For all my seller clients, I also bring in a professional stager to give your home the finishing touches before our professional photographers come in for our listing photos, and before we open the home for showings. My stager will usually make some simple changes, such as re-arranging furniture or rugs and changing the positions of art on walls or the placement of accent pieces around a room. By the time we take the photos and start showings, many of my clients tell us how proud they are to see their property looking better than it’s ever looked before. It’s feedback we love to hear, and we’re proud of the results we achieve. If you want to do this preparation in a relaxed way rather than feeling rushed and panicked, now is the time to get in touch with Nancy Benson & Associates. If you’re considering buying or selling property, I’d love to chat with you about the Ottawa market and the expertise we offer. You can read about my services at www.nancybenson.com, where you can view my current listings to get an idea of the look and style we achieve for all of our sellers. Feel free to give me a call, at 613-747-4747. Nancy Benson operates a full-service office at RE/MAX Hallmark Realty and specializes in unique homes in the most desirable neighbourhoods of Ottawa. Whether you’re buying, selling, acquiring an investment or a secondary home, we have a system that will work for you.